Brentridge Estates - Take a look -- you won’t be disappointed! MLS#21632207. Keller Williams Indy Metro S.
Oak Meadows - The perfect size for everyday living but spacious enough for all your entertaining needs! MLS#21626334. Oak Creek Realty, LLC. Hickory Ridge Village - Don’t miss your opportunity to own this much sought after home. MLS#21630517. F.C. Tucker Company. 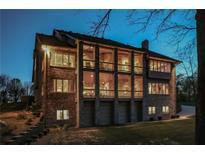 Cobblestone - MLS#21632479. Keller Williams Indy Metro S.
South Lake - This fully finished basement has a bathroom, recreation area with full bar and theater room your friends will truly admire. MLS#21631946. CENTURY 21 Scheetz. 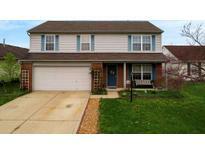 Crystal Lakes - See today so that you don't miss out on this well built, great condition home. MLS#21632292. CENTURY 21 Scheetz. Move in ready and awaiting your personal touches. Home warranty provided! MLS#21630914. Indiana At Home Realty. Enjoy the privacy of that country feeling while only being minutes from shops and highway access. MLS#21631979. New Home Realty, Inc..
Chateaux At Woodfield - Seller invested over $40K last year but must sell it now. Don't wait to long! MLS#21629364. Flat Fee Realty, LLC. South Lake - This is where your story begins! Come on home! MLS#21622472. Your Home Team. 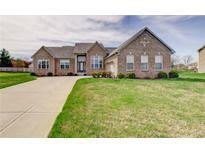 Shadow Ridge - This amazing home is located in the top rated Center Grove Community school district. Schedule your private tour today! MLS#21630632. Trueblood Real Estate. Buckmoor Manor - This Wonderful Fully Fenced backyard Center Grove Home will not last long, so make it your new home Today! MLS#21630876. Sheila Alvarez Brunette Realty. Northern Park - Not much to do here, but move in! See this one today. MLS#21632189. 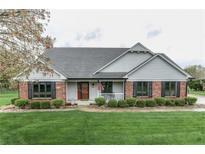 Keller Williams Indy Metro S.
Clearbrook Park - Home sits close to Woodman park and all the amenities Greenwood offers! MLS#21632026. Berkshire Hathaway Home. Enclave At Stones Crossing - Great Location- Very Near To Center Grove High School & Everything Greenwood Has To Offer. MLS#21630556. Jeff Paxson Team. 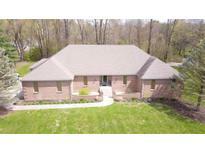 Prime Location/Access To Interstate, Downtown Indy, Franklin/Columbus Within Minutes! MLS#21631739. Jeff Paxson Team. Roof new 2016, HVAC and cent air 2015 and windows 2013 Enjoy evenings on wood deck overlooking well landscaped private rear fenced yard MLS#21631780. Carpenter, REALTORS®. All hard to find under 150k MLS#21631784. F.C. Tucker Company.